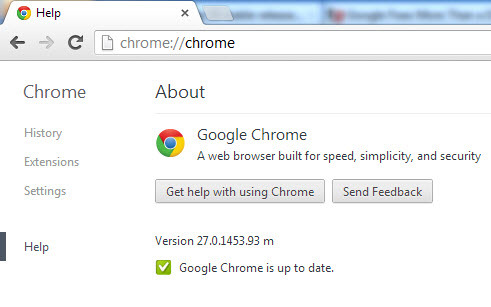 Google chrome 27 stable is now available download for Windows, Mac, Linux, and Chrome Frame. Improved ranking of predictions, improved spell correction, and numerous fundamental improvements for Omnibox predictions. Bad cast in clipboard handling. Use-after-free in Pepper resource handling. Memory safety issues in Web Audio. Use-after-free race condition with workers. Possible data extraction with XSS Auditor. Possible XSS with drag+drop or copy+paste.